So it’s time to come clean about riding off-road in Granada and tell you that, what we lost in technical single-track (like what you would find at such cherished locations as Vermont’s Millstone and Kingdom Trails; Massachusetts’s Harold Parker and Wompatuck State Parks; Moab, Utah; and Santa Cruz, Calif.), we gained in epic adventures that can last days. But if you know how to make an old trail new again, the same solution works to make riding off-road here interesting. All you have to do is change your bike. 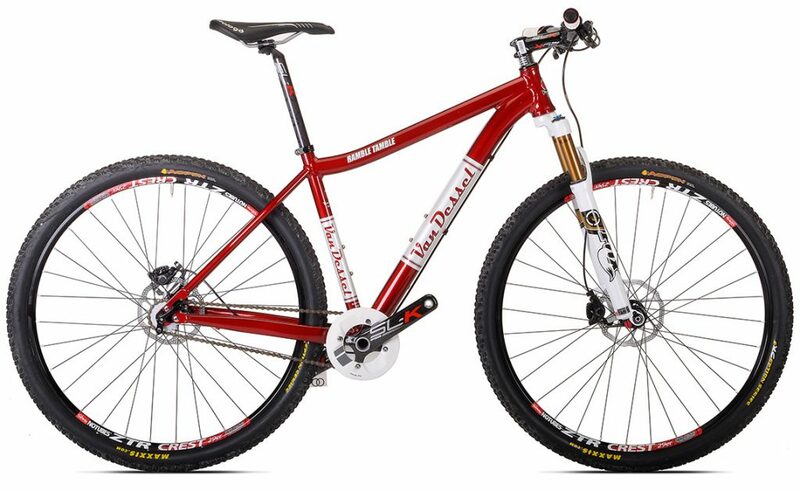 When Hicham went searching for a rigid single-speed mountain bike to mix things up on our local trails near Boston, Mass., he found what he was looking for in Van Dessel’s Ramble Tamble, which was the first bike he brought over to Spain when it became clear that we’d get to stay here for a while. 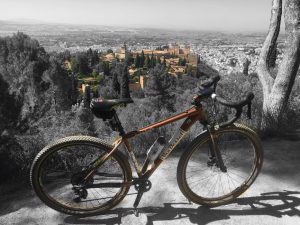 We’ve since brought a half dozen more bikes from our fleet in the US but it started with the Ramble Tamble, which Hicham would reach for whenever he wanted to shake up his routine rides here in Granada. So when he decided that he couldn’t wait any longer for a gravel bike, again it was the ultra-versatile Ramble Tamble that seemed ready for a change as well.